In a news release, the Air Force said the review identified six potential risks to aviation safety: stress caused by high operations tempos; a lack of time to properly focus on flying basics, mission activities and training; pressure to accept risk; a culture that pushes airmen to always execute the mission; decreased availability of aircraft; and the potential for airmen to become complacent when carrying out routine tasks. The full report summary, provided at Air Force Times' request, also raised concerns about the increasing requirements on maintainers, and low experience in some operations and maintenance personnel. The summary also cited “perception of ineffective training” as another area of concern. Air Force Chief of Staff Gen. Dave Goldfein ordered the stand-down in May, after several high-profile mishaps including the May 2 crash of a WC-130 Hercules that killed the nine Puerto Rico Air National Guardsmen aboard. The service has distributed those findings to the field, the release said, and flying and maintenance leaders are using those findings to help guide their decisions. The summary also cites the aging fleet of Air Force aircraft as a problem contributing to increased maintenance requirements and decreased aircraft availability. The summary said that major commands provided the Air Force Safety Center with their aggregate feedback after completing their safety stand-downs, so senior leaders could find out what issues and concerns were identified across all wings. The Air Force has already started putting plans into place to address airmen’s concerns, including adding more support back to squadrons, reducing additional duties, “enhancing information processes for aircrew mission planning” and cutting staff requirements, according to the release. Goldfein and Air Force Secretary Heather Wilson have repeatedly expressed concern over the past year about the pace of operations that is being asked of the Air Force, and worry that airmen are being stretched too thin. Goldfein said he wants all airmen who play a part in flying operations — including pilots and other air crew members, maintainers, and weapons loaders — to train so realistically that they’re prepared for anything they encounter, both in combat and during peacetime. A Military Times investigation earlier this year found that fatal aviation crashes across all services had reached a six-year high. 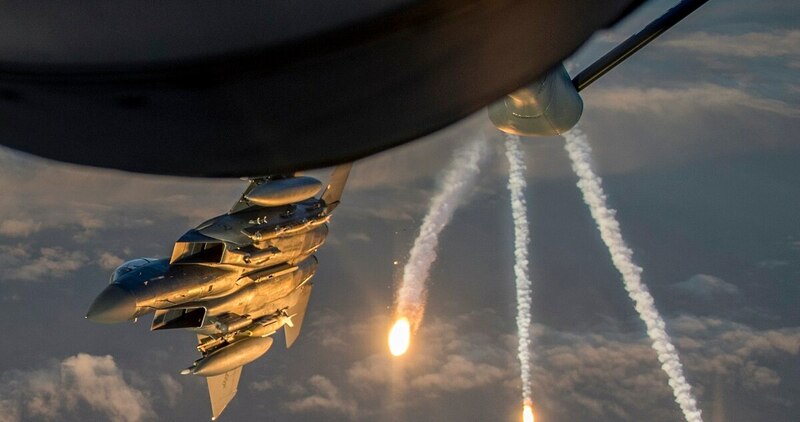 In the Air Force, the most serious Class A mishaps have declined, but the number of non-fatal Class C mishaps is increasing, which some experts warn could be a sign of worse problems developing in the future.